Kohlrabi is in season and if you love the steamed stems of broccoli, you’re going to love this recipe. It is from Seasonal and Simple, the University of Missouri Extension recipe collection available on-line and as an app here..
Grate the kohlrabi and place in a colander. Sprinkle with salt and let stand for 30 minutes, then squeeze the water out. In a skillet, melt butter or margarine. Brown the onions and stir in kohlrabi. Turn heat to low, cover and simmer for 10 minutes. Uncover and turn the heat to medium. Cook another 2 minutes. Sprinkle with basil. 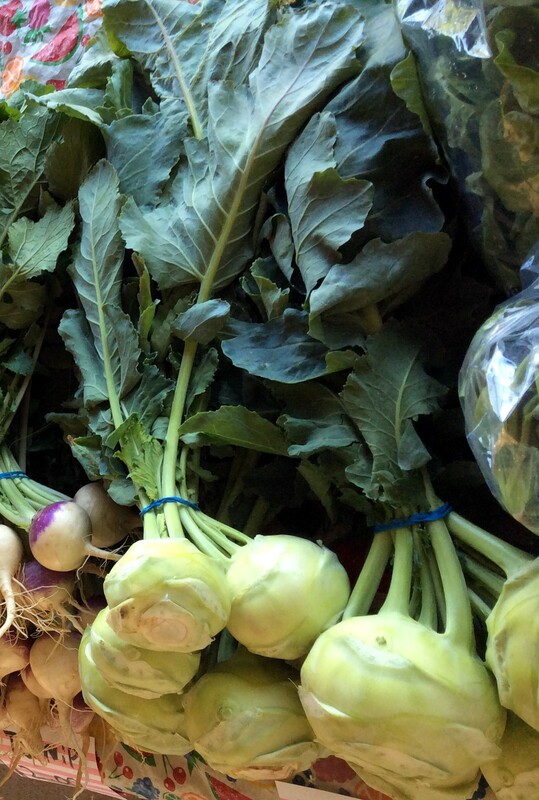 You’ll find kohlrabi at your local farmers market in spring and fall.